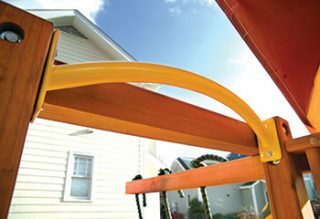 Heavy-duty spiral tube slides that fit on 7′ deck heights. Mounting hardware and entry panel kit included. 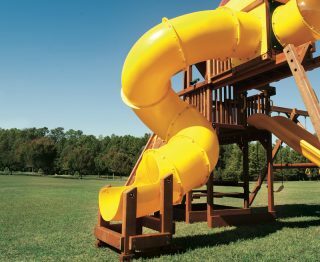 Heavy-duty spiral tube slides that fit on 9′ deck heights. 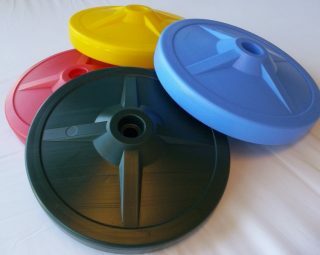 Mounting hardware and entry panel kit included. 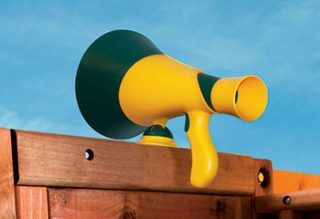 Make your slide extra fun with a Launch Bar. 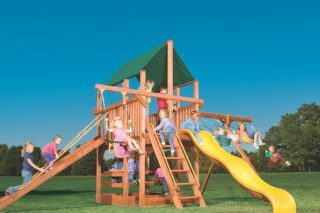 ‍This replacement vinyl roof fits the Woodplay Lion’s Den Playsets. 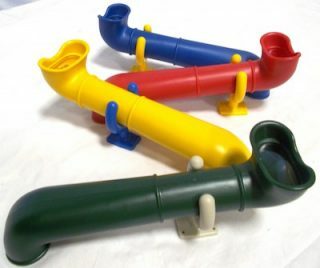 Available for prompt delivery, so ships in two to four days. 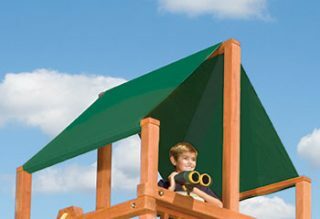 Replacement vinyl roof for Woodplay Monkey Tower Playsets. 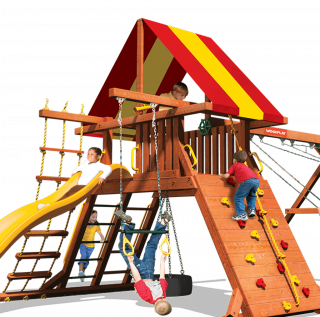 Replacement vinyl roof for Woodplay Outback Playsets. 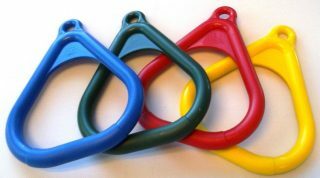 Standard trapeze rings with triangle configuration. Price is per ring. 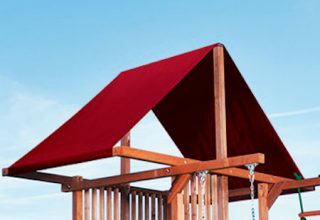 Replacement vinyl roof for Woodplay Playhouse Playsets. 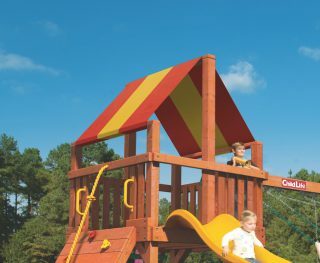 Replacement vinyl roof for Woodplay Playhouse XL Playsets.